Britain has been warned! A vote to leave the European Union is the biggest national risk facing its economy. Mark Carney, the Canadian head of the Bank of England, said Tuesday he would not take sides in the debate over the U.K.'s future in Europe, but added a so-called Brexit presents "the biggest domestic risk" to financial stability. 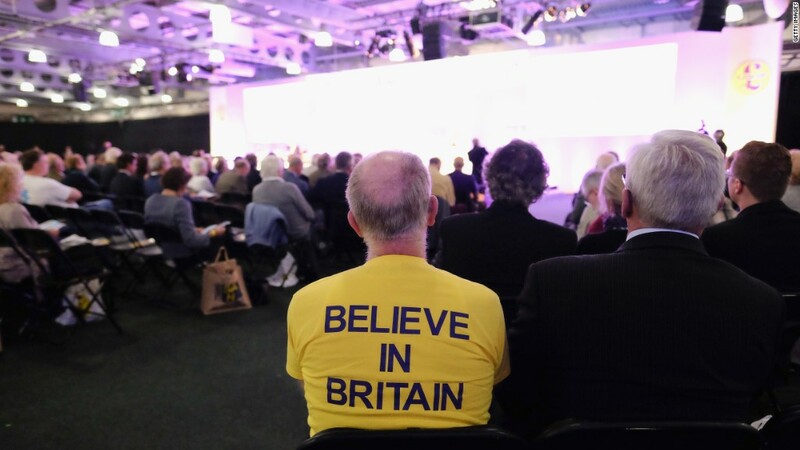 British voters will be asked on June 23 to decide whether they want the country to remain in the EU, or to leave. Carney was testifying before a committee of lawmakers about the central bank's views on the impact of the vote. He said EU membership "reinforces the dynamism" of the U.K. economy. "A more dynamic economy is more resilient to shocks," he said. The British pound has fallen steadily this year on worries about the damage Brexit would do to the economy. Investors and big businesses have expressed concern about the uncertainty that would inject into the U.K.'s relationship with the world's biggest single market. Carney said Europe is more important to U.K. investment and trade than the other way round. U.K. exports to the EU represent 13% of British GDP, while exports from the rest of the EU to the U.K. account for only 3% of European GDP. Being part of the club also gives the U.K. more influence over international financial regulation, Carney said. The U.K. is Europe's largest financial center, accounting for almost a quarter of all EU income in financial services. The sector generates 8% of the country's GDP and 3.4% of all British jobs. Leaving the union would "without question" mean a loss of some business for the City of London financial district, Carney said. He added that a number of banks operating in the country are drawing up contingency plans, and some are considering relocating their business elsewhere. However, remaining in the EU is not a risk-free option, the central bank chief said. The most notable risks stem from the vulnerability of the fragile eurozone. The Brexit debate was ignited recently by the decision of some members of the government and other senior politicians to campaign for the U.K. to leave the EU. Opinion polls are inconclusive, suggesting months of heated campaigning ahead. Carney was accused of bias by some lawmakers who support Brexit. "You are coming out with the standard pro-European Union group lines," Conservative MP Jacob Rees-Mogg said. Carney rejected the criticism. "I am not going to let that stand," he said, adding that none of the testimony should be interpreted as a recommendation for the vote.